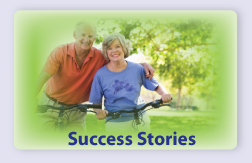 "It’s amazing what you’ve been able to do to help me with my back pain. I never thought I’d be able to deal with everyday life again without the use of my pain medication every day. I truly can’t thank you enough for getting me back to having a positive attitude about life again." Mary and Gerald Stern, Physical Therapists (PTs), Certified Mechanical Diagnosis Therapists (MDTs) and Boca Raton Physical Therapy Center specialize in a very effective and systematic approach to patient care known as the McKenzie Method® or Mechanical Diagnosis and Therapy (MDT). As trained and certified spine and extremity therapists, Mary and Gerald Stern treat patients with back and neck pain, orthopedic and arthritic conditions, headaches, balance disorders and functional decline. These conditions affect and interfere with the everyday lifestyle of patients. 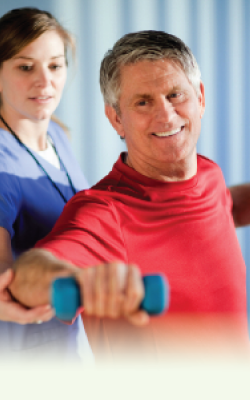 Our mission at Boca Raton Physical Therapy Center is to help patients eliminate their pain and discomfort and return them to a more active lifestyle. Mary and Gerald Stern are proud members of Physical Therapy Provider Network (PTPN), American Physical Therapy Association (APTA), Florida Physical Therapy Association (FPTA), and McKenzie Institute USA (MI-USA). Mary Stern, PT, Certified MDT graduated with honors from the physical therapy program at Russell Sage College in Troy, New York and received training and certification in Mechanical Diagnosis and Treatment (MDT) of the Spine through the McKenzie Institute. Mary assisted in clinical research and development of post-operative rehabilitation programs in the areas of spine rehabilitation at University Hospital in Syracuse, New York. Gerald Stern, PT, Certified MDT graduated from the University of Buffalo, Department of Physical Therapy and Exercise Science. In 1989, Gerald pursued further training and certification in Mechanical Diagnosis and Therapy (MDT) at University Hospital in Syracuse, New York, headquarters for the USA branch of the McKenzie Institute. His work experience includes working in an acute care clinic and an outpatient private physical therapy clinic specializing in orthopedics. We offer the most effective treatment for back pain, neck pain, headaches, arthritis, sports injuries and post-operative recovery. 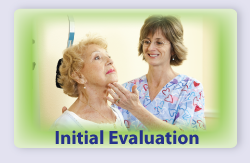 Boca Raton Physical Therapy Center offers individual assessment through a series of diagnostic steps that include having the patient go through a prescribed series of postures and motions to determine the actual cause of the problem. Our Physical Therapists do this with every patient to determine the real cause of their pain. An individual therapy program is then designed to correct the condition. In just a few sessions the patient will learn how to keep that condition from recurring, or how to use self-treatment if it does. We provide the guidance and nurturing that our patients need to fully understand the reasons why they are having pain, stiffness and discomfort. 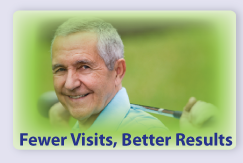 We teach patients how to help themselves by self-administering their own treatment to alleviate their conditions when they occur so that they do not have to rely on expensive medications to mask the pain. An individual program is designed for you and is slowly implemented over a few sessions. 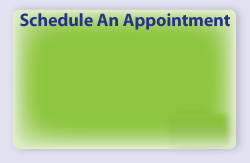 Our goal is to send you home feeling confident that you understand your condition, what the cause of your pain and discomfort is and how to self-administer your own treatment at home to achieve positive, lasting results.